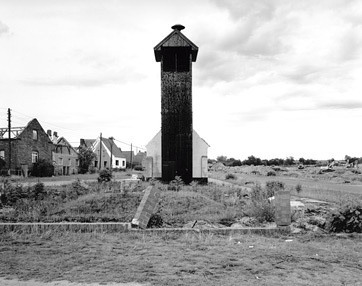 In 1992, I read for the first time about the village of Horno in a report published in the German »ZEIT Magazin«. 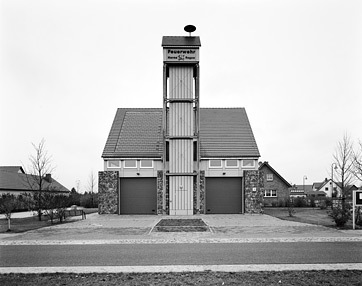 Horno was located southeast of Berlin in the Lausitz Region of the former East Germany, almost on the border to Poland. The nearby »Jänschwalde« open-cast lignite mine, which was slowly but steadily grinding its destructive path towards Horno. The lignite-mining industry planned to destroy the village and move its inhabitants somewhere else, in order to excavate the lignite (»brown coal«) that lay below Horno. I went to Horno to photograph the village. Having once been there I just couldn’t imagine that this beautiful, prize-winning village could one day really disappear. Its main street was lined with lime trees, the large homesteads had huge garden, and the village was surrounded by forests. All over the village were placards attached to fences or doors proclaiming: »We are staying!!!«. I believed it myself. Although the inhabitants - and in particular its mayor - tried everything to prevent the destruction of Horno, they didn’t succeed. When I returned in the summer of 2004, all the buildings south of the main street had disappeared. Each of them now formed a pile of rubble. Some former inhabitants were allowed to return and feed their cats, which always returned to Horno. Not only had the cats become disorientated. The homing pigeons, which had moved with their owners to New-Horno, had to be kept locked up, since when released they always returned to their old home in Horno. 60 families resettled some 10 kilometres to the south of Horno near the city of Forst in the newly-built and rather aseptic village of »Neu-Horno« that had been financed and built by the Swedish state-owned Vattenfall company, which had taken over the lignite-mining industry in the Lausitz in 2003. In the autumn of 2004 even the road to Horno was closed. I bought a compass and walked through the huge forest from the village of Griessen. At the beginning of 2005 I met the British writer Michael Gromm in Berlin, who had also discovered Horno in 1992. He had fought since that time to save Horno and had written three books about the village and its struggle against the mining company and the Brandenburg State Government. He introduced me to Ursula and Werner Domain, the last residents in the village, who had refused to sell their property and were fighting against compulsory purchase and resettlement in the courts. Adjacent to the house was the pub and dance hall that Ursula and Werner had run, the whole property having been built by Werner's grandfather. Besides their house, Ursula and Werner Domain were also fighting to save their huge, irreplaceable garden full of fruit trees across the road. Michael Gromm, who had bought a green traffic Island in the village and was also fighting compulsory purchase in the courts, had moved into a room in the house to support Ursula and Werner in their struggle. At the end of 2005, the edge of the mining site was just 50 metres from the Domain house and Ursula and Werner had to give up their struggle. They moved to a small village near Forst, where they had a small house. In the meantime, the hill on which Horno had stood has disappeared, and the Jänschwalde mine is cutting its way through the forest towards the village of Griessen in the direction of Guben, threatening the existence of a number of other villages.